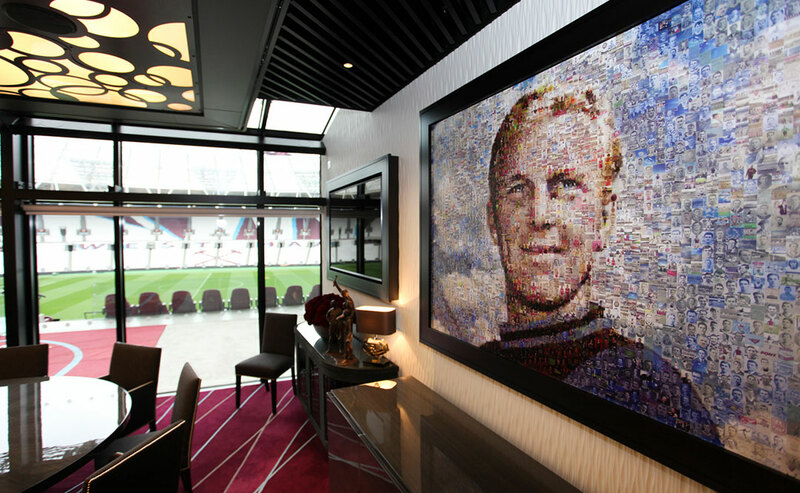 ‘Football Icons’ was commissioned by West Ham United, selecting two of its most iconic stars, Bobby Moore and Geoff Hurst, for the new boardroom in the former Olympic Stadium. 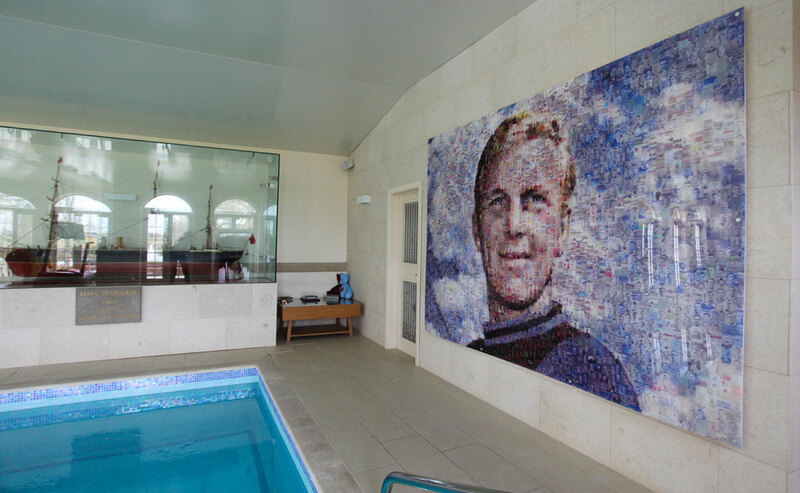 Robert Frederick Chelsea Moore OBE (12 April 1941 – 24 February 1993) was an English professional footballer. 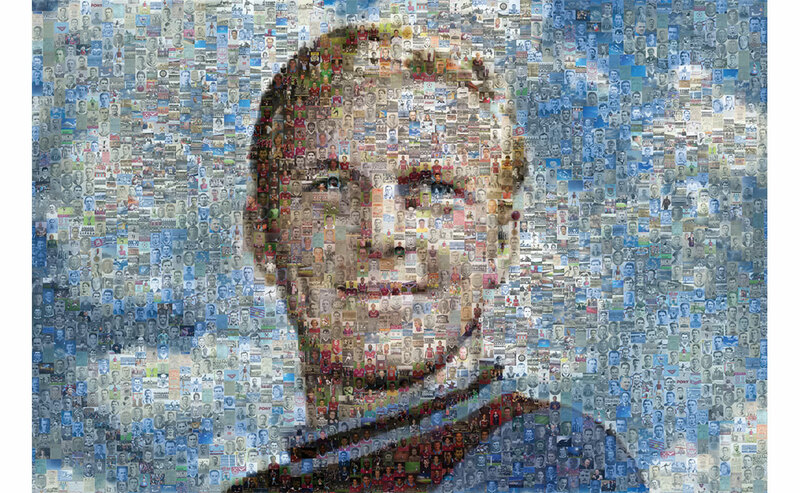 He captained West Ham United for more than ten years and was captain of the England team that won the 1966 World Cup. 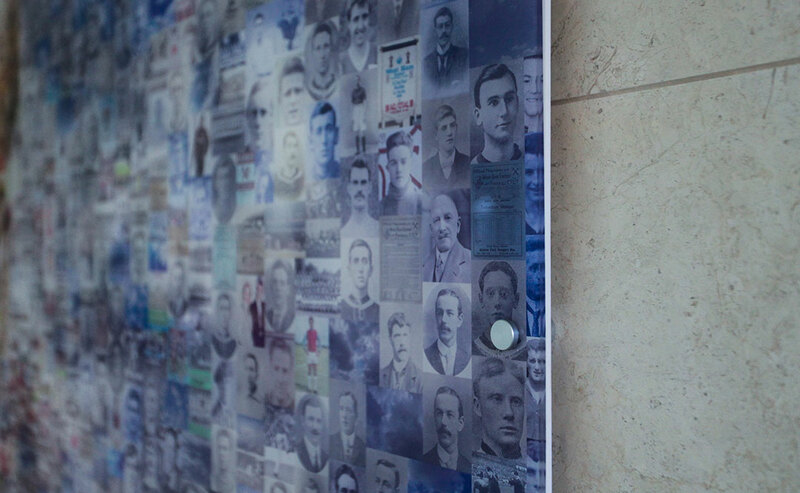 He is widely regarded as one of the greatest defenders of all time. 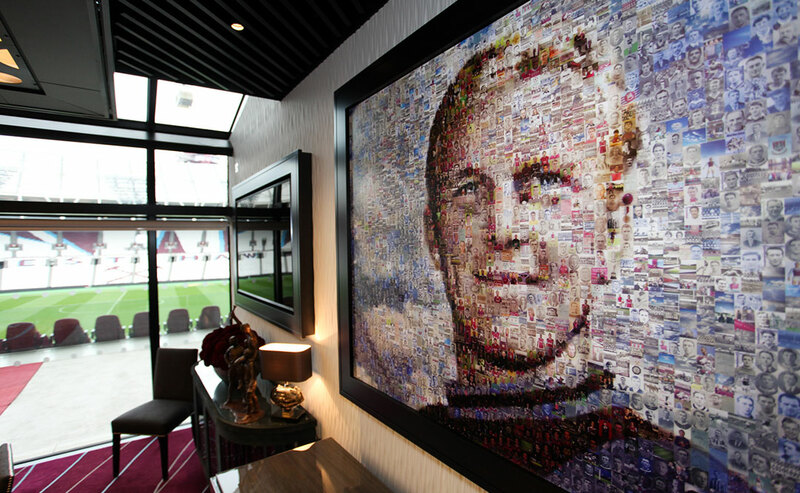 The project used archives from 100 years of West Ham United and mega fan Steve Marsh’s collection. 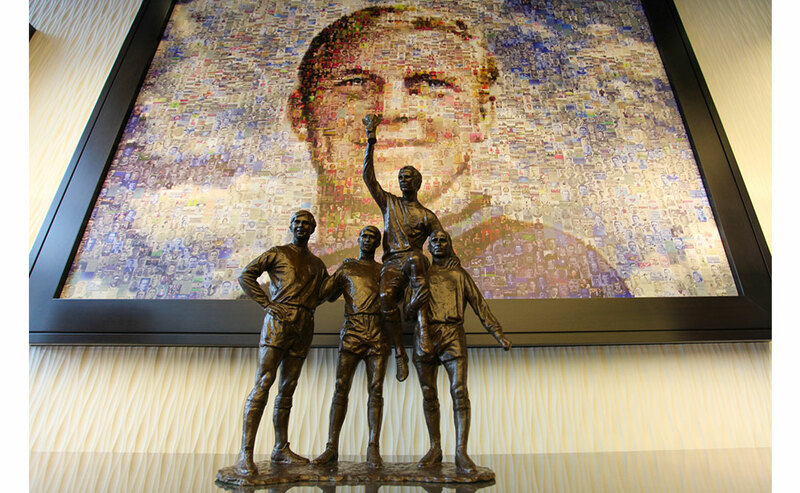 Each artwork contains 3,500 images and was carefully compiled in collaboration with Steve Marsh and chairman Terry Brown.